What is PNDA Awareness Week? Perinatal Depression & Anxiety (PNDA) Awareness Week was established by PANDA in 2005 to increase awareness and reduce stigma. Since then, this week has been used to highlight the need for support of mental and emotional wellbeing of expecting and new parents, including the signs to look for and where to go to seek support. How you can support PNDA Awareness Week? 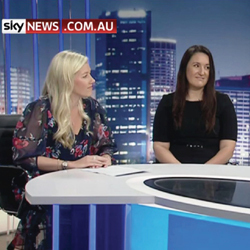 Gidget Foundation Australia launches Bun In The Oven during PNDA Awareness Week each year, though encourages its supporters to host their very own Bun In The Oven at any time throughout the year. How can you host a Bun In The Oven event? Simply plan a get together or host a casual brunch, morning tea or perhaps a 5 o’clock catch up with friends, family or workmates. Be creative and have fun while helping to raise awareness and vital funds to support the work of the Gidget Foundation. This year, the Foundation partnered with The Health Mummy, and together we’ve seen 45 registrants host an event, and more than $11k has been raised to date! Gidget Foundation Australia urges all Australians, especially new and expectant parents, to ‘Start Talking’ this November in an effort to break down the stigma surrounding perinatal depression and anxiety (PNDA). This call to action coincides with Perinatal Depression and Anxiety Awareness Week (PNDA Awareness Week), 11-17 November, which aims to drive awareness of an illness that affects around 100,000 Australians every year. Today, Minister for Health, the Hon. 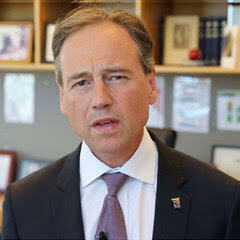 Greg Hunt, officially announced the Morrison Government’s investment of $300,000 into the Gidget Foundation. 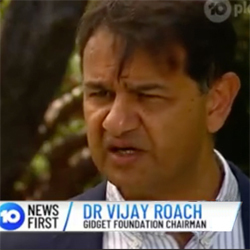 The Gidget Foundation is a national not-for-profit organisation offering free support services to families suffering emotional distress throughout pregnancy and the early stages of parenting. The Foundation’s mission is to raise awareness and knowledge of the importance of emotional wellbeing as well as providing treatment services. The Foundation’s latest service, the national ‘Start Talking’ telehealth program which launched in April this year, provides 10 free specialist perinatal psychology sessions for families experiencing PNDA. 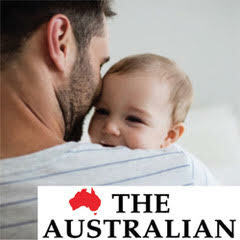 The new program, available via video call, substantially improves equity of access to perinatal mental health treatment services for people in regional, rural and remote locations across Australia. 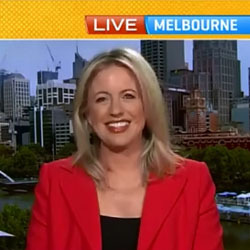 Minister for Health, the Hon. Greg Hunt, said perinatal mental health is of critical importance for new mothers, babies and families. The Minister firmly believes a major step in breaking the stigma surrounding PNDA is to begin a conversation and Start Talking. health, encouraging them to seek help when they are feeling anxious or down,” Dr Roach said. 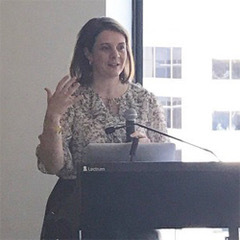 The Gidget Foundation has recruited psychologists to further facilitate this initiative who are supervised by perinatal psychiatrist, Professor Bryanne Barnett AM. The dedicated team of psychologists operate remotely using tablets or computers to conduct the one-hour video call sessions. The national Start Talking telehealth program offers 10 free counselling sessions over the period of 12 months. “Tech has become such a big part of our lives. We’ve found that when people use the video call option, it has a disinhibiting effect, meaning that they find it easier to ‘open up’. Recent evidence also shows that when in expert hands, video counselling is just as effective as being face-to-face,” explained Chris Barnes, Clinical Psychologist at Gidget Foundation Australia. Pregnancy and the first year of parenthood (the perinatal period) can be a uniquely special time. It is also a time of great adjustment and the impact is often underestimated in our society. While much of the focus is often placed on the health of the child during pregnancy, and after birth, it is equally important that, as a community, we address the emotional wellbeing of the parents as well. During PNDA Awareness Week, the Gidget Foundation strongly encourages the community to reach out to loved ones and ask a simple question. ‘Gidget’ was the nickname of a vibrant young mother who took her own life while suffering postnatal depression. She hid her suffering from even her loving family and friends. They established the Gidget Foundation in her memory, determined that what happened to Gidget would not happen to others. Today, the Gidget Foundation assists thousands of expectant parents and their families each year.